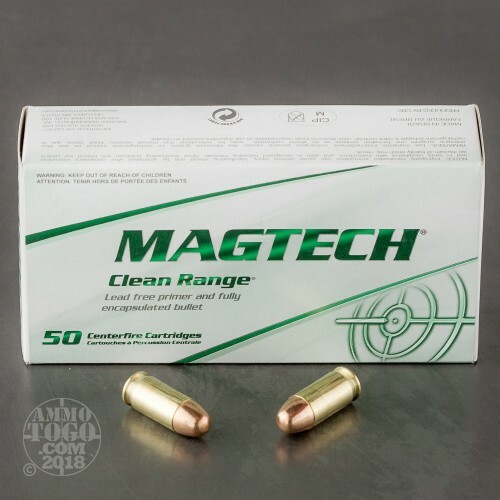 If you shoot at an indoor range where ventilation isn't the best, you can significantly reduce your lead exposure risk by firing Magtech Clean Range ammo. 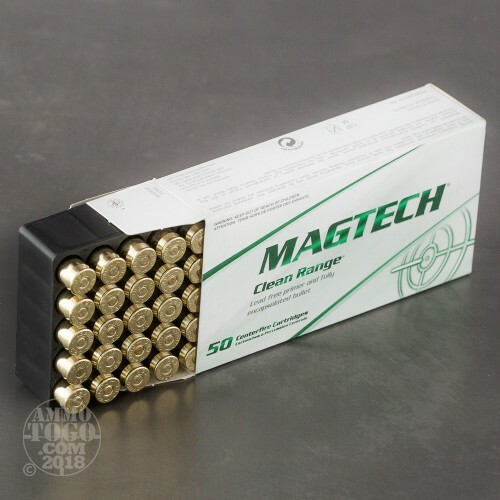 These .45 ACP cartridges fire a 230 grain fully enclosed base bullet, which behaves similarly in ballistic terms to an FMJ projectile but releases less lead into the air when the round is fired. 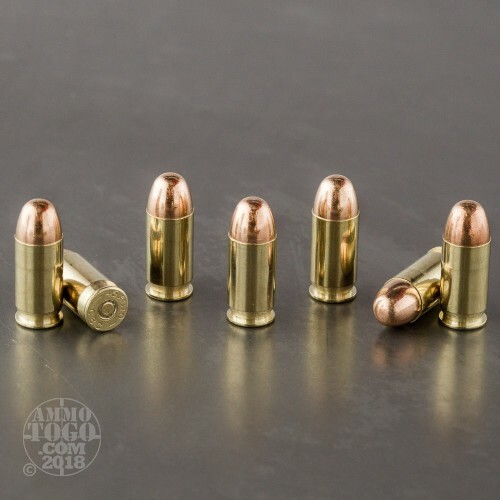 This is a standard pressure load that will work well in compact and full-size .45 Auto firearms alike. 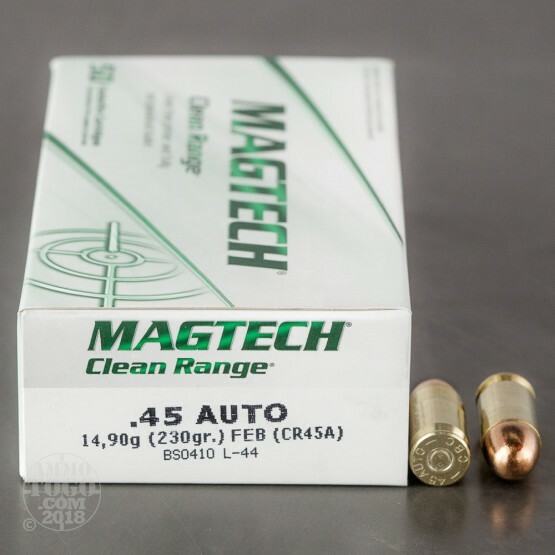 It is made in Brazil by CBC using non-corrosive primers and reloadable brass cases.